I used to be obsessed with big, full lashes but now that I'm more experienced in the beauty industry I prefer a more natural look. I've tried many falsies before and have usually been pretty happy with my purchase until I bought these. They feel so soft and the lash band is very thin, making the application process easy AF. I love that you get a Duo glue included in a set as I really do think it's one of the best false lash glue out there. As it states on the packaging, the lashes are very lightweight - I honestly could not feel them on my own lashes, they didn't weigh them down either which is also a plus. The size of the lash band is also quite good as I did not have to trim it down when I usually do when I buy cheaper lashes i.e. Primark's sultry lashes. 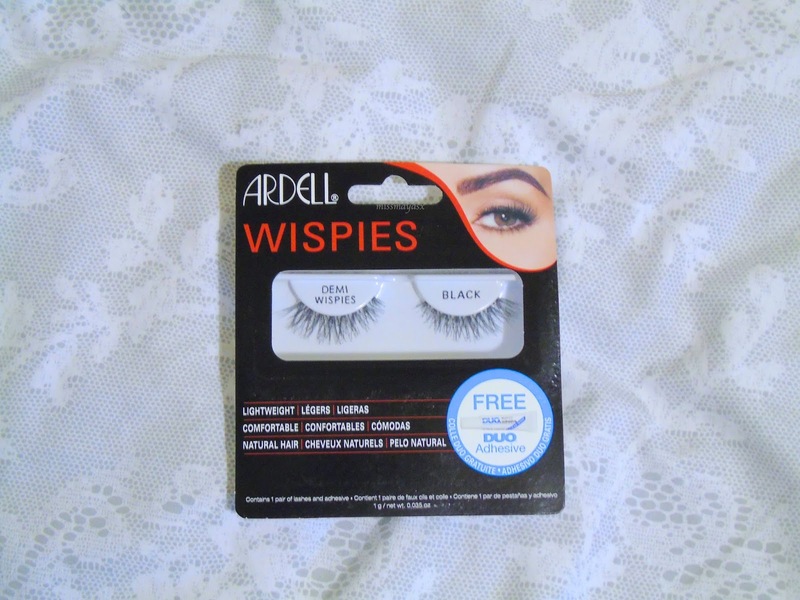 I first came across Ardell 5 years ago when I was looking for false lashes to wear to my prom. I got some gorgeous human hair ones with glitter on the lash band for an extra special look. I really enjoyed wearing them and have been seeing the Demi Wispies around social media a lot recently! I got these on offer from Boots I believe, I think they're buy one get second half price, so I'd say get them while they're cheaper because not only are they amazing but also long lasting! You can buy them -> here. Have you tried Ardell lashes before? If so, what did you think of them? What's your favourite brand for false lashes?